Although we’re sure every farm family feels the same about their 5 generations old farm and organic winery, we believe ours is truly unique! Perhaps it’s because of our approach to family. Our goal was to create a sustainable way to maintain our 100+ year old farm and continue to foster the legacy of our family upon it. To do this we had to create interest, follow our dreams and find ways to continue to fall in love with the land and each other. Ravine is a paradise within a fabric of tastes, experiences, scenes and sounds across 34 acres of beautiful rolling vineyard. We are among the few wineries in Niagara with a self-standing restaurant that bakes our own bread, raises our own pigs, and grows our own certified organic vegetables. We are blessed with a renowned wine and culinary team that chooses an ever-changing menu. Ross Midgley not only creates a seasonal menu but also preserves as much as possible so that ‘go local’ is not just a seasonal term. Our meals are paired with the guidance and discriminating palate of our Winemaker, Martin Werner. Using biodynamics and sustainability as a philosophy to farming, the enhanced quality and flavours in both our small batch premium wines and fresh food products is something we are proud of and very eager to share! Ben Minaker is a second-generation Ontario winemaker with roots in Prince Edward County. 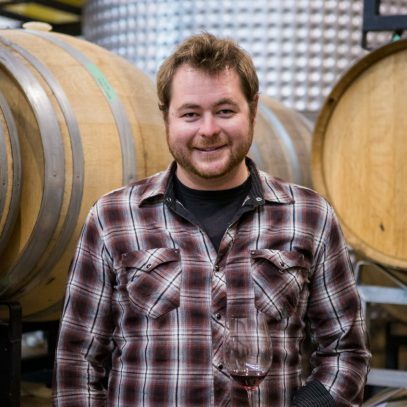 Ben developed his passion for terroir-driven Pinot Noir and Chardonnay at his family-owned winery on Adolphous Reach before travelling abroad to complete harvests in France and New Zealand. After gaining international experience, Ben returned home in 2010 to complete the Niagara College Winery and Viticulture Technician program. Ben is the Winemaker at Ravine Vineyard Estate Winery where he focuses on showcasing the organic Estate vineyard on the St. David’s Bench. 20 per cent warmer than any other location in the Niagara Region. The vineyard shares this fortuitous distinguishing feature with its neighbours, but if you go a little deeper, that is where the common physical attributes end. Ravine’s soil is lighter, with a consistent airflow and water drainage through the vineyard because we are at the highest elevation of the St. David’s Bench. We experience the earliest bud break and a longer growing season. Our 150-year-old family farm sits atop the ancestral channel of the Niagara River as it once raged 22,800 years ago. Our hillside soils have eroded over the last 5,500 years on these small but relatively steep slopes. Now, the soil continues to be thin, sparse and very mineral-conducive to the growth of some very low cropping, Niagara-style Chardonnay. Sitting on the highest peak of our Sub-Appellation not only creates a steady airflow, but it generates outstanding high-pressure systems during the growing season for our fruit. This aids in maintaining moderate temperatures well into September and these conditions make an interesting microclimate for our organic cool climate Chardonnay fruit! Winemaker Martin Werner loves making cool climate chardonnay at Ravine because it highlights our unique terroir and sense of place.